Social Media Marketing Blog by Jyoti: Are you ready for content marketing in 2014? Majority of marketers are now using social media. Digital marketing tips about Do's and Don't with links to various social media marketing sites. Social media is not only about you, do not blow your own trumpet only in your posts. People are tired of listening to 'I am the best' dialogue. Instead engage them with useful information. Recently one educational institute founder posted his achievement, and boasted about students placement and so on. That is ok, but posting on several other Facebook group that is not relevant to the post, is not a good idea. FB Groups are usually focused groups. For example posting about car sale in a meditation group is a strict no no. It is better to give advertisement and say so. What is expected is to post relevant information that your audience would be interested in. The secret is in posting higher-quality content consistently. Posts on Pinterest is appreciated more because pictures are easy on eyes and does not require much brain processing. Make focused boards and Pin regularly. See Pinterest example. It may be a good idea to start digital marketing in other languages. It is possible to reach wider international market by adding translator to your English sites. See this video explaining social media marketing in Hindi. Try to tell short stories that can have bigger impact because attention span of consumers is reducing. Content is important to extend the brand beyond advertisements. Once in a while add humor to your content. Education plus entertainment is a good idea. 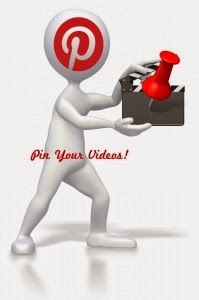 Here is example of 'Edutainment' board on the Pinterest. Use 'Buffer' button on your sites. This will allow viewer to share on Facebook and Twitter simultaneously. Use ShareThis buttons to let visitors share on their favorite social sites. See on this Blog page. 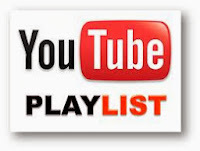 YouTube allows you to upload videos. I suggest you make YouTube Playlists to group your videos. You can ask your webmaster to embed them in your blogs or websites. I am in position to confidently tell you this because after I created Playlists on my video channels my video views shows marked increase. Teamwork. Social media posting is not a one-man team job. Encourage your colleagues to Like and Share the posts from you site, Page, ReTweet, and so forth. 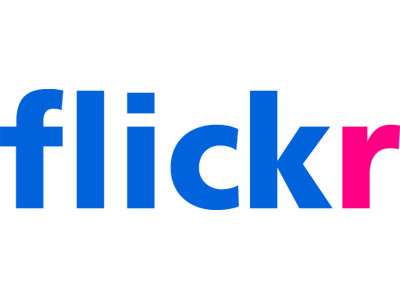 Use Flickr to publish pictures and share on social media sites. Create Sets instead of jumbling them all together. Keep a separate budget for paid digital marketing services. Amount need not be large to begin with. All top social media sites gives professional analytics to let you know the return on investment - ROI. This is anytime better than spending money blindly on other media advertisements. Except, that my experience with Google is not so good. Think of publishing a newspaper pertaining to your own profession that will engage your audience. For instance this newspaper will give latest news everyday. This is better as compared to legacy newsletter. If you an NGO you can use the DONATE NOW button on the Facebook Page. 19 non-profit launch partners have started displaying the 'Donate Now' button at the tops of their Facebook Pages. Example of Facebook Page with Donate button. Convert your legacy website to 'responsive' website. Meaning your site should adapt to the mobile device. Same site should change as per the size of the device, be it iPhone or tablet or laptop. Most of the Blogs are responsive. For instance view this blog on your smartphone. Here is a list of various digital platforms / social networking sites that I have used with corresponding figures to show successful blogging and microblogging. Study examples of Groups and join them to stay connected. If you are doubt do not hesitate to ask an expert. Use SlideShare or Scribd to publish your presentations. I have published 60 PPT on the 'Digital Vivekananda' site, and I am happy to note that it has 170K+ views. 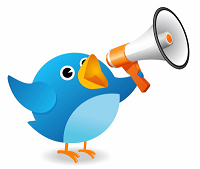 Hope these tips will help you plan your social media marketing strategies in the New Year 2014. You may share your tips / suggestions in the comment box provided below.